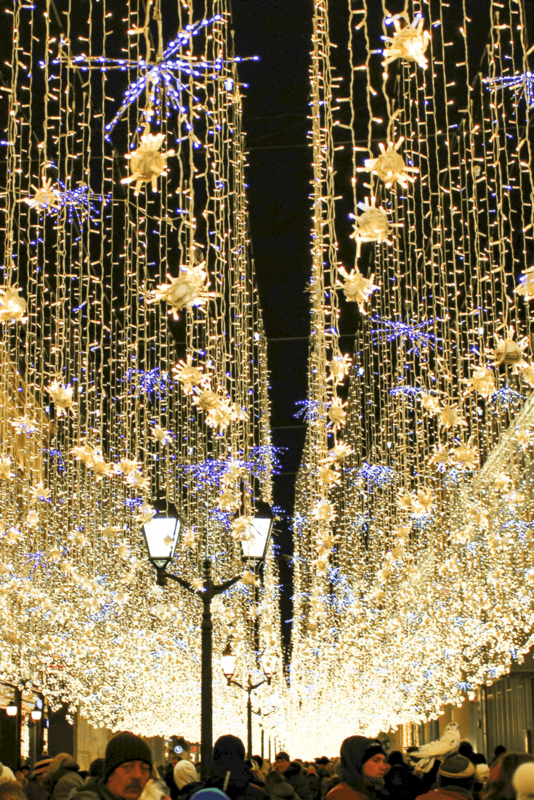 How about Christmas in Russia? 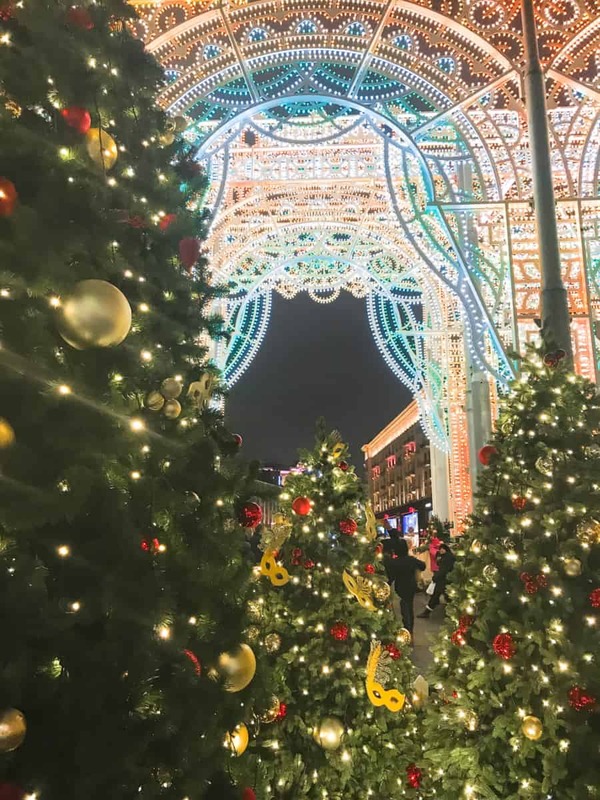 You also get to enjoy two Christmas celebrations because they follow the Orthodox Calendar and their Christmas is 7 January. 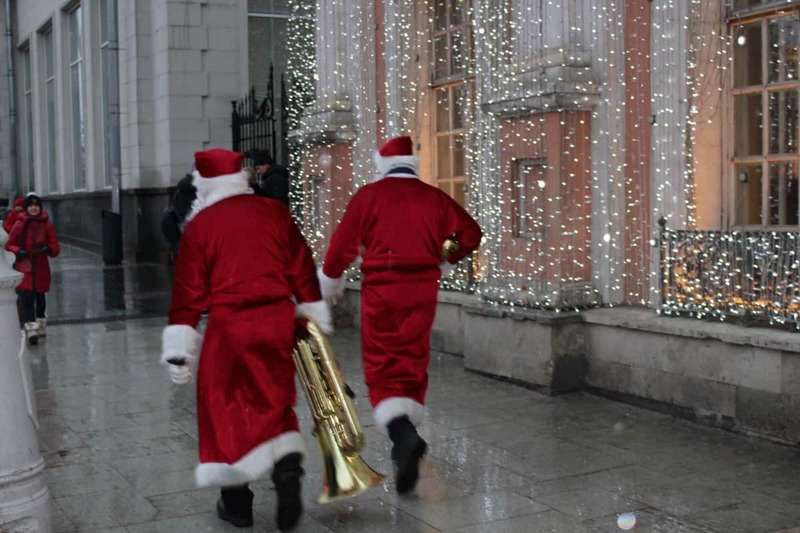 We stayed in Moscow for Christmas last year and it was wonderful! A Moscow New Year is very special too but we left before New Year. I was dreaming of a white Christmas and checked in advance where to find the Sleigh rides with Reindeer. Unfortunately it was a very mild year and there was absolutely not snow. 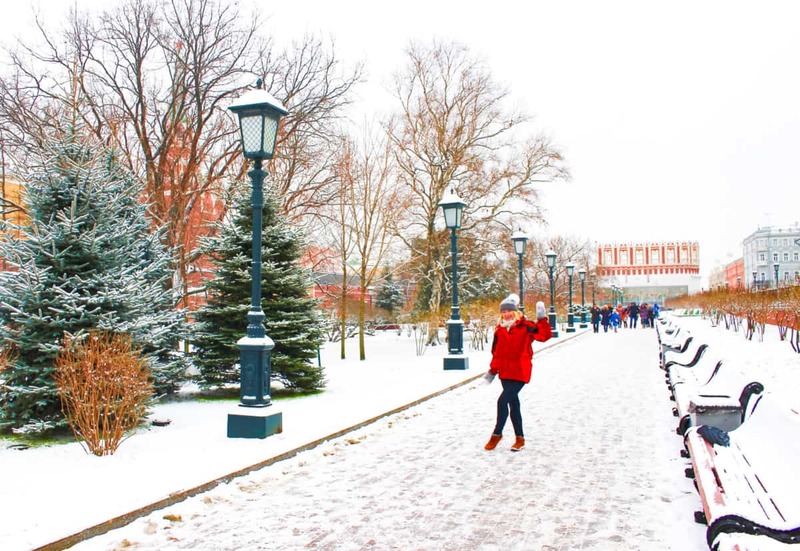 However, even without snow Moscow was a Winter Wonderland. The Christmas decorations are incredible it is a magical time of year in Moscow! 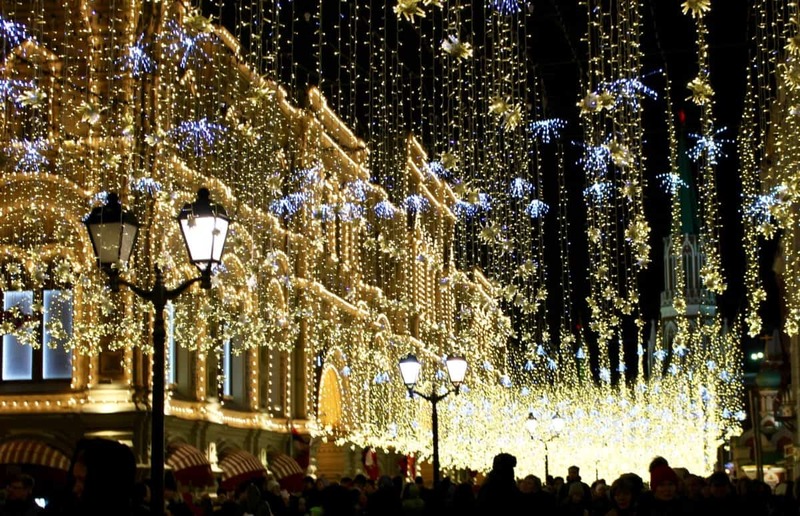 Moscow is such a fun place to be at Christmas. The decorations are second to none and there is a very happy, festive vibe everywhere particularly in the evening when everyone is walking around and enjoying the festivities. 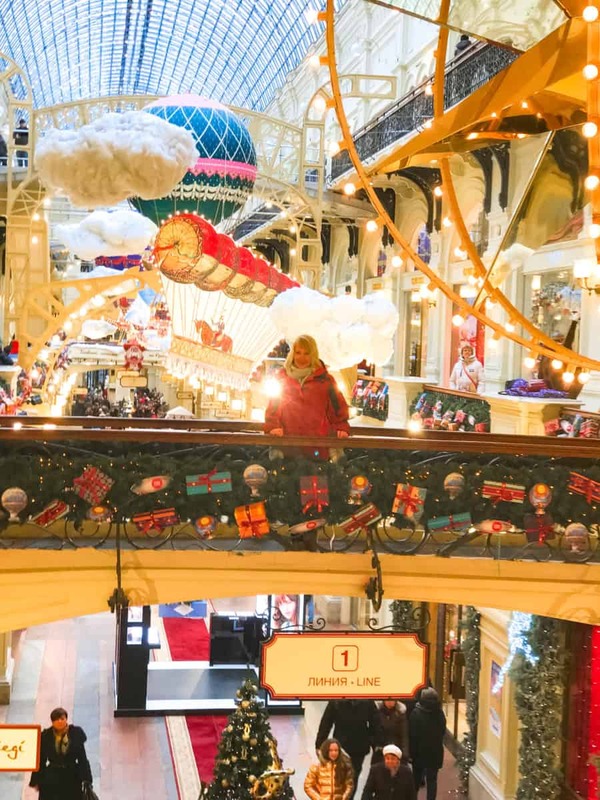 Make sure to stay in a central location, you can then walk around and enjoy all the Christmas festivities. 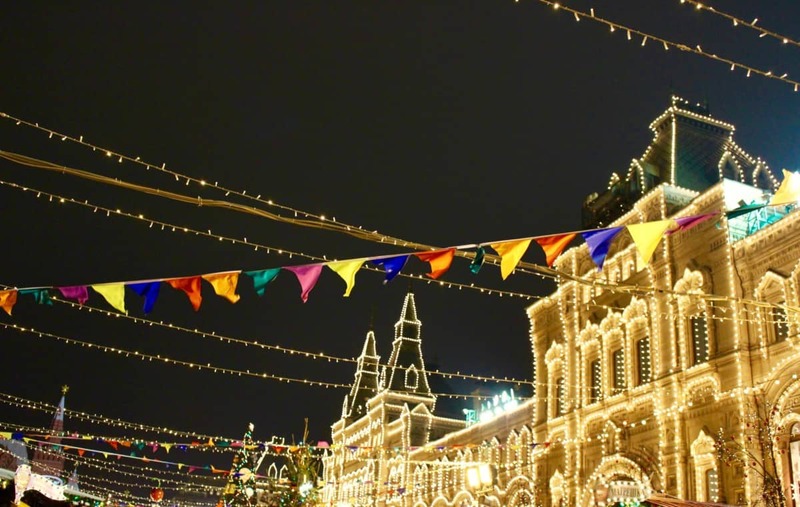 There is a big funfair and Ice Skating rink in Red Square as well as a Christmas market. Lots of singing and dancing going on here too! It is really fun and great atmosphere. PHOTO: There was a Tiny bit of snow before we left! Make sure you pack your winter woolies, because it is cold. This just makes the whole city more festive in my opinion! Wear layers because it is boiling hot inside all the buildings. 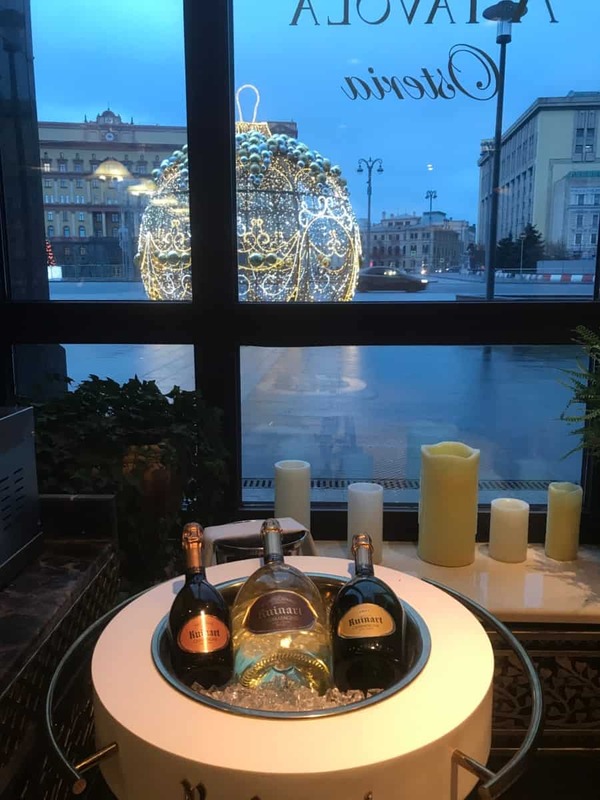 We stayed at St Regis Nikolskaya, which is a gorgeous hotel and superb location right next to the shopping street of Nikolskaya. If you love the St Regis Hotel group and the exemplary butler service, you will love this hotel. Moscow is such a clean city, I didn’t see one piece of dropped litter the entire time! The people are really friendly and it is a very safe city. I would recommend getting a local SIM card for your phone and using a translate app. The only time we got lost was trying to take the Metro! A translate App would have been very useful. The photo above was taken outside the Pushkin Cafe, such a lovely Cafe to visit for lunch or dinner. Actually Moscow is full of wonderful restaurants and bars, you have a lot to choose. There are so many fascinating places to visit in Moscow. Red Square of course and you can visit the Tomb of Lenin, St Basil’s Cathedral and the Kremlin. All of the top International designer brands have shops here but you will find lots of traditional Russian treats to buy, not least the amazing Russian Vodka. Visit GUM shopping Mall when you are on Red Square. Make sure you don’t miss the Christmas Markets and Festival of Christmas, link in the information section. 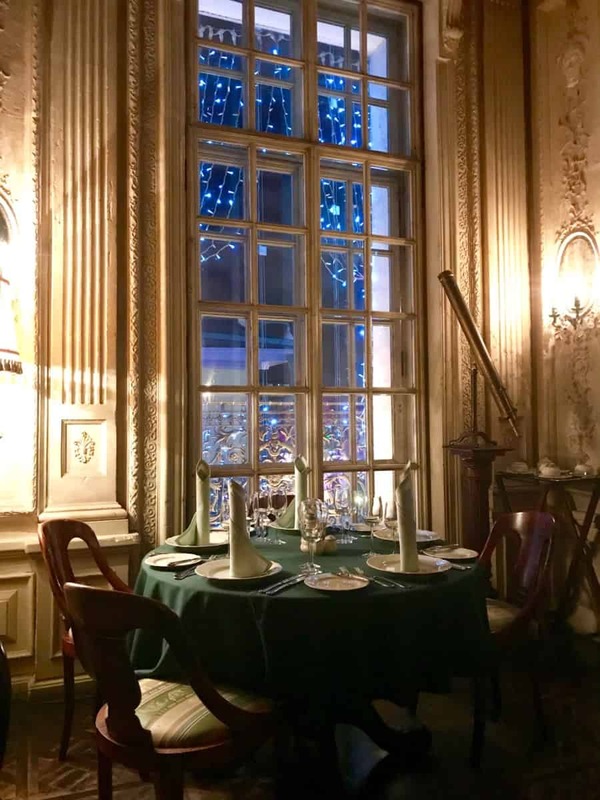 A perfect trip all in all….. Christmas Festivities, exploring a new city and the Christmas traditions in Russia all at the same time! If you go in the wintertime it is, of course, winter weather! However, although the city is full of Russian tourists there are very few western visitors at this time and this makes a trip extra special. I like avoiding the tourist season wherever I am in the world. 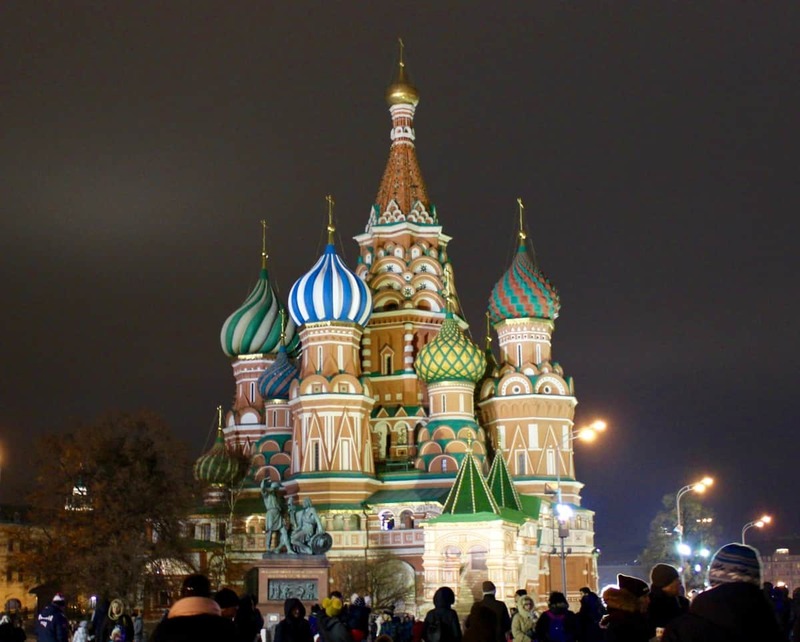 How to get a Russian Visa: This is straightforward, as long as you are organised! Fill in the Visa Forms online and provisionally book your hotel or accommodation in Russia. The hotel will then send you an official invitation and you take this with you to the Visa Application office along with your application form and a Passport sized photo. The Visa office keep your Passport and you go back a week later to collect your Passport and Visa. Flights: We flew with British Airways from London. The flight is inexpensive and under 4 hours. 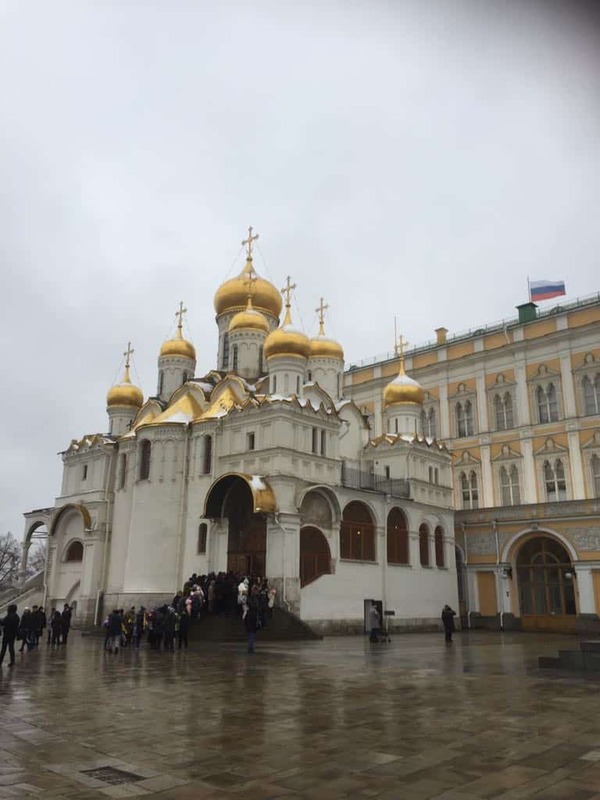 Getting around in Moscow: We made the mistake of taking a Taxi from the airport. Such a sweet Taxi driver but he got hopelessly lost! From then on we took Limousines arranged by the hotel and it was not much more expensive. Walk everywhere you can, you see so much more of the city. Metro, a ‘must do’ – just don’t get lost like we did on the Metro system. Next Post 5 Reasons to Visit Sri Lanka – and more reasons to revisit!